There's a moment in Hayao Miyazaki's Princess Mononoke, when the proud and ancient Boar King is consumed by the Squigglies of Hate. Throughout the film, the squigglies, a blunt and effective symbol, spread like a cancer - infecting characters with ignorance, hate, and rage. When the pig gets it - he who swore he would never be so blind - I was gutted. I couldn't cry, but oh, how I suffered in sympathy. Never so much in a film have I suffered. We are all so masoom! Until now. Masoom (literally, innocent) captures that feeling of tearless and sympathetic suffering, boils it down to its essence, and then paints every scene in broad strokes with it. Throughout Masoom I wanted to cry, but could only sit in high-strung empathy. Why, God, why?! It was like my heart was stuck in a too-small cage. It was like they took sandpaper and scraped my feelings with it. It was perversely satisfying, morbidly fascinating. Do it again! Again! Oh, God! But let's talk about the plot first. Based on Erich Segal's Man, Woman and Child, the movie begins - as all movies of this kind do - with idyllic scenes of familial bliss. There is the playful husband (Naseeruddin Shah), the gorgeous wife (Shabana Azmi), the giggling daughters. Everyone is beautiful, everyone loves each other, and you just know something horrible is bound to happen. And indeed, within the first twenty minutes, we learn that all is not well in paradise: with a synthesized smashing of cymbals, cue the entrance of illegitimate (but also beautiful) son, Rahul (Jugal Hansraj). Cue family breakdown. Cue gutted feeling. The rest of the film deals with the fall-out. The daughters take to Rahul like pepperoni to pizza, but Shabana Azmi's Indu must struggle with everything perfect little Rahul represents about her imperfect, adulterous husband. Naseeruddin Shah, as per usual, is excellent; all shuffling guilt and frazzled weariness. 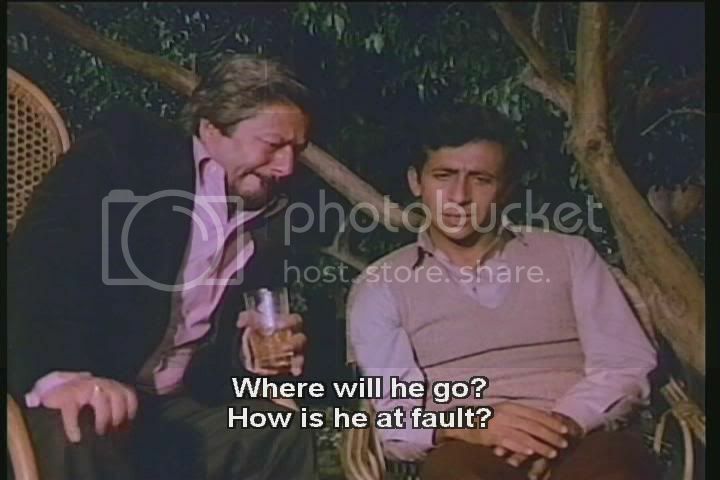 In a way, this is the archetypal Naseeruddin Shah role: the kindhearted and sensitive paternal figure with at least one scene of cheerful drunkenness and one scene of tearful breakdown. He reprised this role twenty years later in Mira Nair's Monsoon Wedding, but you can find variations on the theme in a number of other films (Naajayaz, Parzania). Oh, Naseer. Oh, all of you. Can I just say I love you? I'll take a little adultery with my palm-reading, thank you. When in doubt, ask Saeed Jaffrey. The genius of Masoom is how real it feels, how real these people are. The child actors are particularly impressive and indeed little Rahul carries the film. Rahul is, for all intents and purposes, perfect, but believably so. It's the perfection any parent sees in their child, and it makes his "sinful beginnings" all the more stark. Beautiful people doing terrible things creating more beautiful people. Can't we all just get along?! He danced for you with whiskey on his head, back when everything was OK.
Another shrewd aspect of the film is how emotionally manipulative it is. It's a bit like a Disney movie in this respect (including the prototypical Disney device of a dead parent). Consider that there are a number of cringe-worthy dialogues, not because they are poorly done, but because DEAR GOD WHERE IS THE DAMAGE CONTROL? Example: There is a scene, pre-Rahul, when the family is still living in their Elysian bubble of happiness and D.K. (Shah) and Indu (Azmi) are discussing a case of adultery amongst their friends. D.K. : If you can't bear the responsibility, why get married? Aaah, D.K., shut the hell up. There will be many, many opportunities to stick your foot in your mouth once Rahul arrives. Like Aakrosh, Masoom was another entry into the New Wave Indian cinema of the 1980s. As I understand it, this might be the most famous film from that era, as random members of the diaspora are always mentioning it whenever I say I seek Naseeruddin Shah Excellence. One couldn't properly call it "Bollywood", in that it's far too smart and unglamorous (except in the emotional sense!) to be a part of that genre, though there are a couple enjoyable songs (see above). If you seek singing escapism, this is not your movie. If, instead, you seek to put your heart in a blender while all your paternal/maternal feelings come gushing out in waves of syrupy goo, then this is EXACTLY WHAT YOU NEED. I've wanted to watch this movie ever since I listened to the "Main Hoon Na" commentary and Farah Khan said it's one of her favorites. Plus, I mean, it's got Naseer. What other recommendation do I need? Besides yours, of course. Hi - Can you tell us which actor played the role of the younger of the two daughters in Masoom? Did she do any other roles after this film? I just love Naseeruddin Shah's portrayal of his character in this movie. He looks so young, so "innocent" when compared to his later, more jaded and cynical roles in movies like Sarfarosh and Iqbal. He has a Colin Firth's Mr. Darcy-like ability to stare intensely and make you read his mind, while at the same time conveying the impression that he'd like to keep his thoughts to himself. I can't think of (m)any actors in Bollywood who are even close to him in terms of depth, multi-layering and versatility. 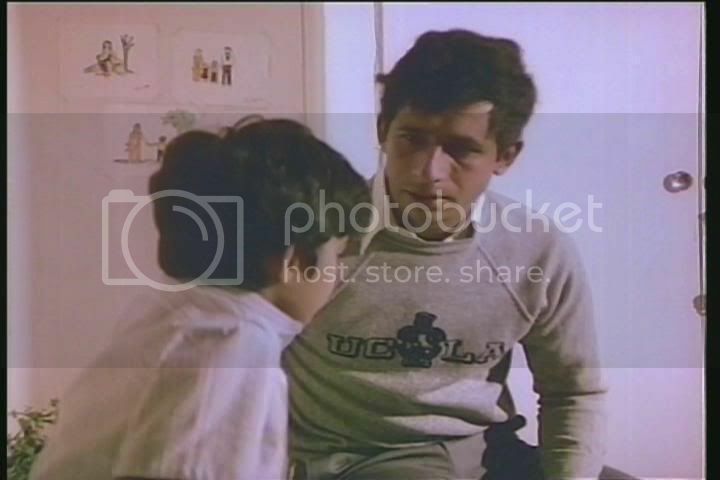 Every time I see a Naseeruddin movie, I think "This is what he must be like in real life!" He just makes his characters feel so incredibly real that I can't believe he is faking it.